I just managed to finish off my second ARRL Amateur Radio logbook today while making some contacts in the RAC Winter Contest. The reason this sticks out for me is the date range of the QSOs contained in that logbook. That’s 25 years between the first and last contact. I knew I had been relatively inactive for some time as work and family pressures ate up more of my time, but this large date range was a bit shocking to me. 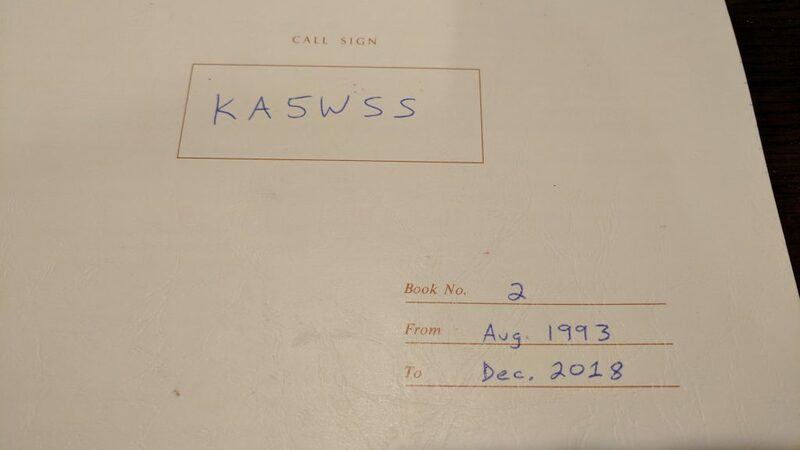 My first logbook covered 1985-1993, a mere 8 years. The second logbook does have a few more pages than the first, but the timespan is shocking. I hope my renewed interest means logbook #4 will not be rolled out in 2043!